In an effort to support our mission to achieve equity for all women in the workplace through advocacy, information and education, Business and Professional Women (BPW) / St. Petersburg-Pinellas is presenting our annual Working Women’s Forum during National Business Women’s Week™. We believe that you would benefit from the exposure associated with sponsoring this signature event. The attached information reflects a range of sponsorship levels ($50, $250, $500, $1,000, $2,500) to help underwrite the expenses of our seventh forum, other signature programs and scholarships. 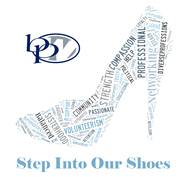 Your support of BPW would be most appreciated. Please let me know if you have any questions or would like more information about the forum or our organization.